Dedicated to the investigations of ceramics, Lauren Skelly Bailey explores surface, form and the layering of histories in her sculptures. Bailey draws from nature, architecture, and objects tooled by man to assemble installations, and sculptures. In 2015, Lauren received her Master of Fine Arts degree from Rhode Island School of Design with a concentration in Ceramics. While attending RISD, Bailey focused on constructing new textures in clay in the form of coral reef beds, and constructing multiple fired conglomerates. These experiments have helped to further Bailey's knowledge in ceramic materials. Prior to RISD Bailey attend Adelphi University where she received her BFA in Fine Arts, and MA in Studio Arts concentration in Ceramics. Join us at the Angela Koenig Center, 20 Summit Street, Oyster Bay, NY 11771 as we welcome our new exhibit "Altered Coral" by Lauren Bailey. The reception will begin at 7:00 PM and lite refreshments will be served. Ms. Bailey will also conduct 3 workshops for the Oyster Bay Historical Society. ​On Saturday, September 22nd we welcomed retired teacher, Richard Siegelman and he took us back to the year 1963 as we viewed the contents of a time capsule buried by the Bermingham Elementary School. He shared the letters, drawings, photos and recordings of students who pondered what life would be like in the year 2000. ​Students from the Bermingham Elementary school were in attendance and viewed their letters, artwork, reminisced about their joyous days with classmates and teachers, and listened to the recordings of some of their former classmates. The contents of the time capsule will be on display until the end of September 2018. Some of the beautiful photos from the time capsule. During the glory days of Long Island’s fabled Gold Coast, all of society was ruled by an elite group of glamorous women. Celebrated hostesses like Ann Woodward, Millicent Rogers, Barbara Hutton, and Alva Vanderbilt were the first American superstars, as their lives, loves, and scandals played out on the pages of newspapers across the country. Often photographed descending the stairs of their grand ballrooms in glittering jewels and fabulous gowns, these women were the icons of their day—and everyone wanted to dress—and be— just like them. Join us tomorrow at the Angela Koenig Center at 7:00 PM, December 6th as Monica Randall presents an entertaining program on the colorful social icons of their day. Light refreshments will be served. $5.00 suggested donation for members and $10.00 for non-members. The Oyster Bay Historical Society welcomes all current and past members to enjoy a festive evening with us as we celebrate the holiday season. You are welcome to bring a friend or two! "Evening on the Harbor" Annual Fundraiser at St. John's Church Rectory in Cold Spring Harbor, NY. There will be an upcoming Walking Tour scheduled for Sunday July 22, 2018 at 2pm, led by Oyster Bay Town Historian, John Hammond. Walking tour maps will be issued upon arrival. Please arrive 15 minutes prior to departure at the Earle-Wightman House. Walking Tours led by Howard Ehrlich of the Theodore Roosevelt Association. Thursday, July 19, 2018 at 7pm. JOHN HAMMOND, OYSTER BAY TOWN HISTORIAN AND PUBLISHED AUTHOR IS SCHEDULED TO HOST A HISTORIC WALKING TOUR, THROUGHOUT THE HAMLET OF OYSTER BAY! The Tour will begin promptly at 2:00pm at the Earle-Wightman Historic House. PLEASE REGISTER IN ADVANCE & ARRIVE 15 MINUTES PRIOR TO DEPARTURE. FEE: $20.00 PER ADULT AND $5 FOR CHILDREN 12-17 YEARS OLD. 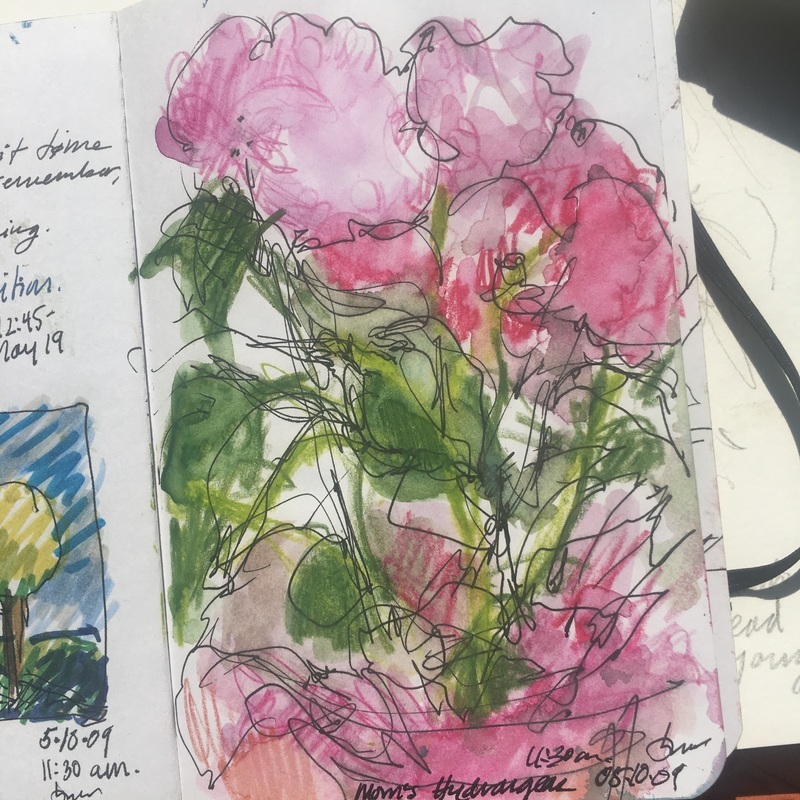 ​Artist Beth Vendryes-Williams explores the tradition of journal writing and sketching in a workshop where participants—through a combination of writing, drawing, painting, collage, and photography—examine the many ways journals can creatively document an individual’s feelings and ideas over the course of a lifetime. The workshop takes place on Sunday, January 8th, from 1-4 p.m. at the Earle-Wightman house at 20 Summit Street in Oyster Bay.